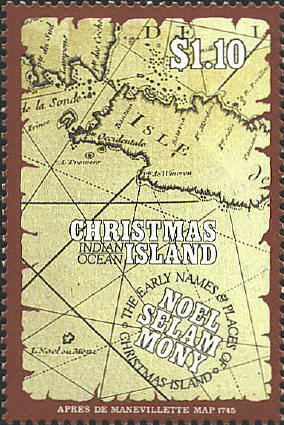 The map in the design on the stamp is based on an engraving made by Anton Francesco Lucini, published in Bologna in 1630. The stamp commemorates the Great Siege of Malta in 1565 in which the Knights of the Order of St. John and the Maltese Christians defeated the Turks. 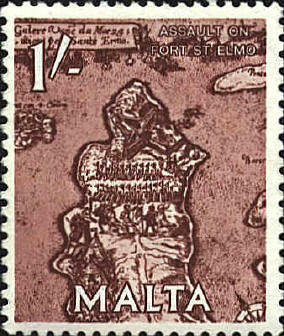 It shows the Maltese resistance during an assault on For Saint Elmo. d'Après de Mannevillette (1707-1780), a famous French chart maker produced this chart of Christmas Island in 1745 together with 24 other maps in his Le Neptune Oriental Ou Routier General Des Ctes Des Indes Et De La Chine, Enrichi De Cartes Hydrographiques, Tant Generales Que Particulieres, Pour Servir D'instruction A La Navigation De Ces Differentes Mers. Herman Moll (1654-1732) came to London in the mid-1670s as a refugee from the Scanian Wars. 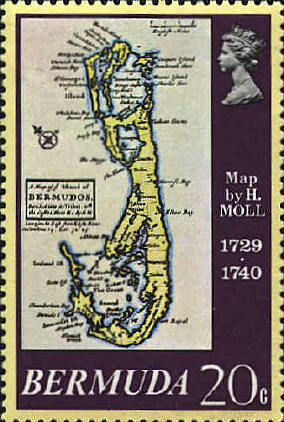 The earliest map engraved by Moll appeared in 1681, and he set up his own shop in 1688. He associated with such people as Robert Hooke, Daniel Defoe, Jonathan Swift, William Dampier and Woodes Rogers. his maps, and his friends," appeared in Mercator's World, 4(1999)2:21-39. 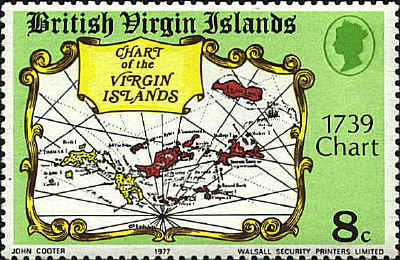 The map is identified as An Hydrographicall Chart of the Virgin Islands, London, 1739.